Amini, K., Bahrami, A., Sabet, H. (2015). Evaluation of Microstructure and Wear Behavior of Iron-based Hard - facing Coatings on the Mo40 Steel. International Journal of Iron & Steel Society of Iran, 12(1), 1-8. K. Amini; A. Bahrami; H. Sabet. "Evaluation of Microstructure and Wear Behavior of Iron-based Hard - facing Coatings on the Mo40 Steel". 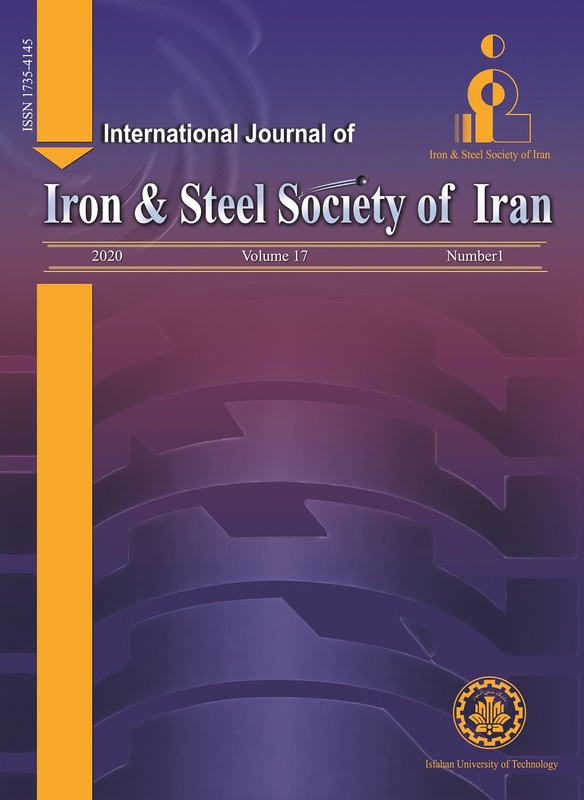 International Journal of Iron & Steel Society of Iran, 12, 1, 2015, 1-8. Amini, K., Bahrami, A., Sabet, H. (2015). 'Evaluation of Microstructure and Wear Behavior of Iron-based Hard - facing Coatings on the Mo40 Steel', International Journal of Iron & Steel Society of Iran, 12(1), pp. 1-8. Amini, K., Bahrami, A., Sabet, H. Evaluation of Microstructure and Wear Behavior of Iron-based Hard - facing Coatings on the Mo40 Steel. International Journal of Iron & Steel Society of Iran, 2015; 12(1): 1-8. Mo40 low-alloy steels are mostly used to produce industrial components such as crane wheels which are exposed to abrasive wear. However, during working conditions, their wear resistance is reduced after a while due to its low hardness. With increasing abrasive wear, the dimensions of components decrease and they need to be repaired for surface modification. In this regard, hard overlay coatings are applied by hard-facing process for reusing these components. This work deals with the surface analysis, hardness and wear behaviors of the clad layers made of the Fe-Cr-C based hard-facing on the Mo40 low-alloy steel by submerged arc welding method. The overlay coatings are performed by two ways of welding: 1. rods of UP6-GF-50 (307 kavosh joosh standard number), and 2. UP6-GF-50-C (420 kavosh joosh standard number) regarding the Din 8555 standard, in single and double passes. According to the X-ray diffraction analysis and microstructure characteristics, both martensite with retained austenite phases and the (Fe, Cr)23 C6 carbides were identified within the overlay coatings. The presence of the carbon and chromium elements in hard surfaced specimens (as denoted by 307 and 420) produced by single and double pass were increased. The wear resistance in the coatings of 307 and 420 produced by double pass are higher than the coatings produced by single pass. In addition, the amount of average hardness in the coatings of 307 and 420 produced by single and double passes increases from 36 to 38 HRC and from 39 to 42 HRC, respectively. Based on the scanning electron microscopy micrographs, the wear mechanisms of specimens with high hardness are adhesive and tribochemical wear. J.R. David, Surface Engineering for Corrosion and Wear Resistance. ASM International. Metals Park, Ohio, (2001). T. Hejwowski: Vacuum, 30 (2008), 5. D. K. Dwivedi : Mater. Sci. Technol , 10 (2004), 1326. C. Fan, M. Chen, C. M. Chang, W. Wu: Surf Coat Tech., 21 (2006), 908. S. Buytoz, M. Ulutan, M. M. Yildrim: Appl. Surf. Sci., 252 (2005), 1313. Y. C. Lin , J Mater Des.H. M. Chen: J Mater Des., 45 (2013), 6. Y. C. Lin, H. M. Chen: J Mater Des., 47 (2013), 828. L. Yuan-Ching, L. Yu-Chi: Surf Coat Tech., 205 (2011), 5400. S. Buytoz, M. Ulutan: Surf Coat Tech., 200 (2006), 3698. M. Soodi, S.H. Masoodi, M. Brandt: Adv Mat Res., 230-232 (2011), 949. V.Vukovic, R.Radic, S.Cudic: Metabk, 50 (2011), 133. ASTM G99-05, 2005, "Standard Test Method for Wear Testing with a Pin-on-Disk Apparatus", ASTM Book of Standards; Vol. 03.02, West Conshohocken, Pa, United States. In. (accessed). S. Buytoz: Surf Coat Tech., 200 (2006), 3734. M. Mohammadikhah, H. Sabet: Proc. of Steel Symposium, Yazd, Iran, (2012), 332. M. Jaffari, A. Ohadi, Proc. of 7th Conference of railway transportation, Iran, 2001. J. Yang, Z. Ye. Yong Liu, D. Yang and He. Shiyu: J Mater Des., 32 (2011), 808.